A Drill Press is an important tool in the machine shop. With it, we can easily make holes in any kind of workpiece. You might be thinking about do I need a drill press? Now, or in future? 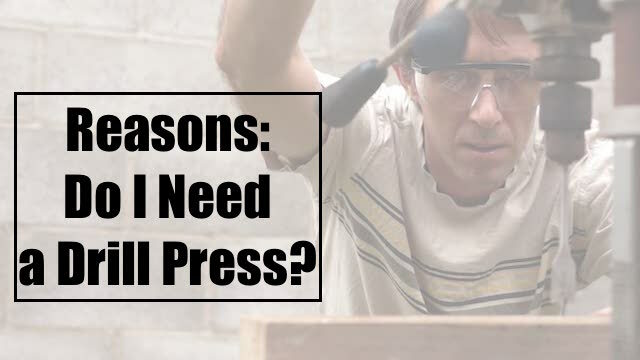 Here we found 7 Reasons Why Every Woodworker Needs A Drill Press. We are going to brief out the main ways in which a Drill Press can be useful to you. 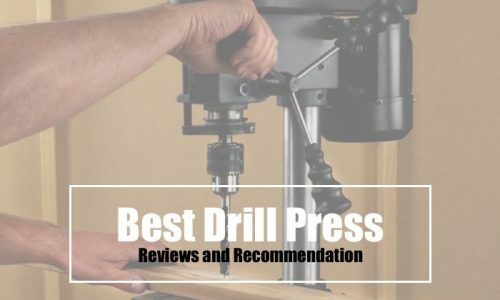 We also discussed some of the points in our last post on Drill Press Reviews. Kindly go through each of them and understand the necessity of a Drill Press in a Carpentry Shop. With the help of a Drill Press, we can form accurate holes in a workpiece. In this age of accuracy, it is essential for us to form a workpiece with precision. This will get us a good kind of workpiece, that will offer us with better kind of functions. All you have to do is to fix the wooden pieces with the use of clamps, set it in a proper position and start drilling the holes. Although you need to take into notice few considerations for drilling a proper kind of hole. Such as attaching a stopper so that the hole doesn’t go too deep. Preparing proper kind of fixture, so that the workpiece doesn’t get imbalanced. With these considerations, we can form a highly accurate workpiece. In comparison with the other methods of making the holes, forming the holes with the Drill Press consumes less time. Due to this, it is more preferable. Apart from that, it also reduces the human effort that we have to make. In this method, we have to make holes by just pushing the handle. We can easily set the target with the help of clamps and fixtures. Hence, it also saves our time that we’d spend for making the necessary arrangements for the same. With the help of just one simple arrangement, we can easily carry out the same kind of multiple workpieces with a constant dimension. The Drill Press supplies us with a tremendous amount of power. Due to this, we will be able to increase the speed of the cutting tool of our machine. In this way, we will be forming holes in the workpiece within less period of time. It will also reduce the efforts that we have to make while carrying out the cutting procedure. You don’t have to worry a lot when you are owning the Drill Press. It knows how to carry out its work with fewer efforts. Setup of a Drill Press carries a High Power motor. This high power motor will supply a tremendous of power that is necessary for carrying out the hole making procedure. The press is having a special kind of design with the help of which we will be easily able to make straight holes in the workpiece. It will reduce the efforts that we have to make and we will be getting a ready workpiece without any kind of trouble. Often we require cutting the workpiece at various angles and from sides. Thus, it is necessary having an appliance that allows us with making cuts on the inclined profiles. The Drill Press is the same appliance that can be helpful to us. Using it we can rotate and keep the workpiece at a desired kind of angle. It wouldn’t affect the workpiece in any manner and doesn’t imbalance it. Hence, we can also make cuts at inclinations. With the help of Drill Press, we can carry out multiple applications with an ease. Attaching the various different tools with the press, we can also side cut the profile, carry out operations such as turning, reaming, threading and a lot more. Due to this, there wouldn’t be a requirement of owning different types of equipment for carrying out various operations. We can carry out everything with the same machine. You will be having a better kind of control over the operations of the Drill Press. In this manner, preparing an accurate workpiece wouldn’t be troublesome for you. The operation of the press will be extremely safer and you will be easily making cuts on them with an ease. It is extremely easier for us to set the speed of the cutting tool as well as the position of the workpiece. Thus, the productivity of the cutting tool will be a lot better. Our present article on, 7 Reasons Why Every Woodworker Needs A Drill Press relates to the main benefits that we can obtain with the use of Drill Press at our home. All the reasons stated here are of great importance, thus we must consider each of them before getting a Drill Press for our machine shop or carpentry shop. Hence, we must be careful while going through them. We hope that our website was helpful to you for understanding the Reasons Why Every Woodworker Needs A Drill Press.